It is all about how things are perceived. Churchill rightly said that it’s always the individual who has to look for opportunities despite how harsh or unsympathetic the world is. No one can help you unless you mentally decide to help yourself. The same was the case of Phann Keara for whom things worked out because he looked and perceived things positively. The basic lesson to be drawn from this story is that no matter the environment, circumstances and people are not in your favor; it is you at the end of the day that has to fight for survival and success. Born in 1979, Phann belonged to a poor family that resided in Cambodia. His father left school after passing the 9th grade despite the fact he was a school teacher. Phann belonged to a generation that is famously known as the “Loss generation”. When he came to high school, he was very low on hope but things changed when he read the book “Think and Grow Rich” by Napoleon Hill. This book turned his life upside down, but for the good. After reading this book he started believing he could do anything and it’s just a game of sub consciousness. During that time, the country was going through a crisis. The Khmer Rouge killed one of every five Cambodians during the 3 years of terror. This mishap was adversely affecting the mental and cognitive abilities of its native people. When Phann turned 13, his father went through a brain injury due to a car accident. It was this reason that Phann started looking for business, which was, looking after the cows in his farms. He helped his mother in bringing up his four younger brothers but sadly the earnings were not sufficient to support the entire family as Phann’s father couldn’t earn anymore. He completed his college on a scholarship. Phann was interested in reading business related texts and self guidance material. He became a fond reader of books that inspired him such as Brian Tracy’s book, Maximum Achievement. Such books helped him to grow as a person and make himself strong enough to fight his own battles. The torment which the people of Cambodia were going through could be taken optimistically with a positive approach. This was Phann’s idea. This is the notion that made him a strong and confident person who was more than willing to carve out a way for his well-being and survival. Phann moved on to completing his MBA from Pannasastra University of Cambodia in Siem Reap and started teaching there. This city, famously known as the tourist center of Cambodia, is the place from where Phann began his entrepreneurial career. He purchased an apartment along with his colleague which he gave on rent to college students. He sold this apartment at a profit and invested that sum of money to build a 17 room, beautiful hotel. To multiply his wealth and expand further, Phann is currently utilizing the profits from this hotel to build another one down the lane consisting of 15 rooms. Such hotels are popularly known as Boutique hotels. This is not the end of his mission. Phann is planning to build a series of such boutique hotels to become a successful real estate developer. He wants to extend this for the benefit of his wife and kids as well. The second goal that Phann has is to bring private sector investments into Cambodia. Currently every industry in Cambodia is nationalized. He wants to take it in the hands of private investors so that foreign investments come into Cambodia and benefit everyone on a larger level. He wants to change the perspective of his people by encouraging them to think positively. Phann wants to re-build the whole mentality into a profitable and eventually a business oriented one. Have a product that is unique and not easily duplicated. There must be a unique selling aspect to the product. Locality is most important. A right place puts everything at the right spot. Human resources are not an expense; they are a company’s capital. One should keep investing in them and treat them so that they bring in more business. Phann Keara is a great educator and a highly successful entrepreneur. He took things positively even in times of crisis and misery, not only at a personal but at a national level where Cambodia was drowning in darkness. 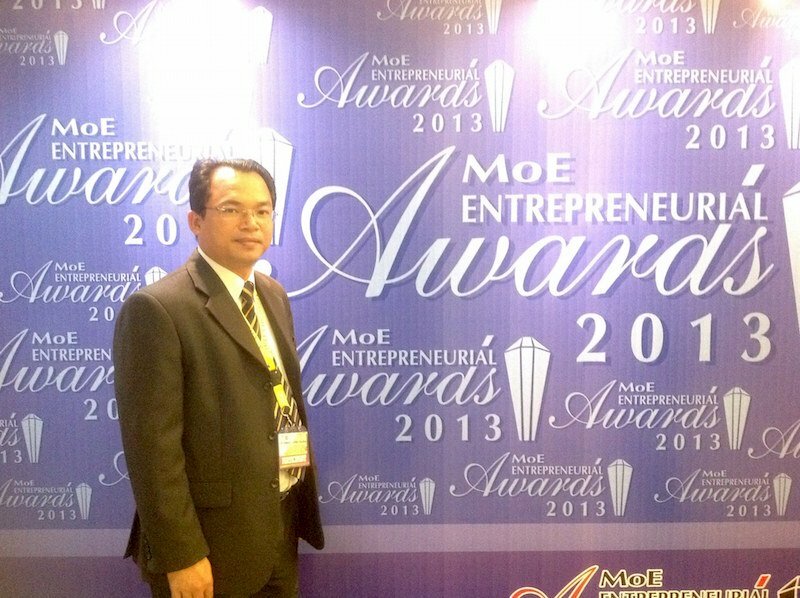 He found the light of success within himself and now he plans to extend it onto Cambodia.